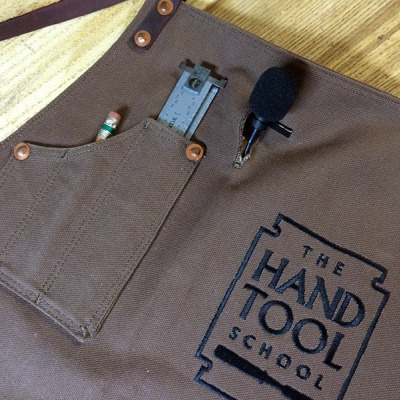 Sure there might be something else at play and those noble and patient folk who spend time restoring old tools to use may have a variety of other things awry. I'd be willing to bet that even with a broken handle, out of flat sole, and tar and feathers still trailing off the back of Ole Stinky Pete the mining carpenter's best plane, it will work with a freshly sharpened blade. 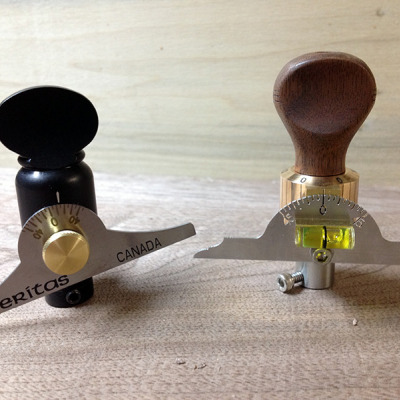 So you're not getting shavings with your fancy new smoothing plane? Go sharpen the blade and be amazed what happens. Getting tear out from your tight mouthed, 10 lb infill plane with the GPS positioned 55.467 degree bed and built in Atomic clock? Go sharpen the blade. When the blade is so sharp it glides through the wood, there is little force placed on the fibers to make them want to tear or crumble away. Are you struggling to saw a straight line with that rip saw? 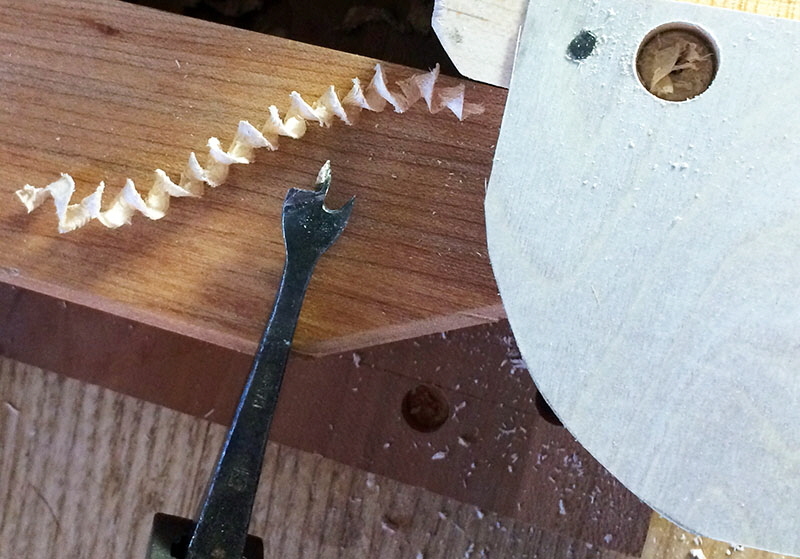 Go sharpen the blade and be amazed at how straight it cuts because you're not forcing the teeth through the wood and introducing deviation along the tooth line. 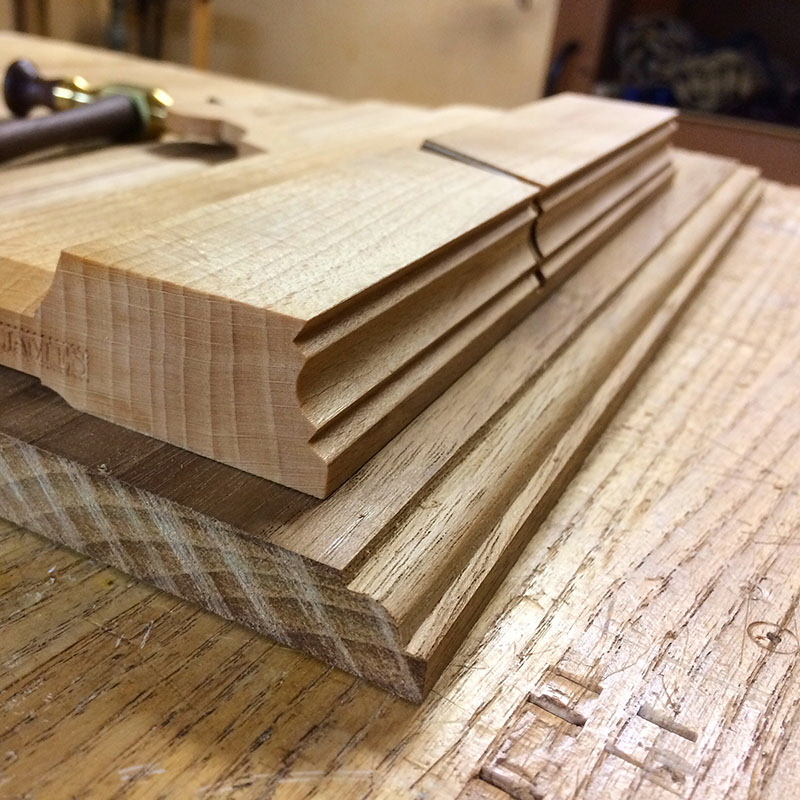 Do your dovetails have gaps? Go sharpen your chisels and be amazed how the chisel cuts right on a line without crumbling fibers. Can't get a clean hole or the bit stops cutting? Go sharpen the bit. In fact any question relating in any way to after market upgrades to a tool or guide to ensure accuracy should first be set aside until the current blade has been sharpened. 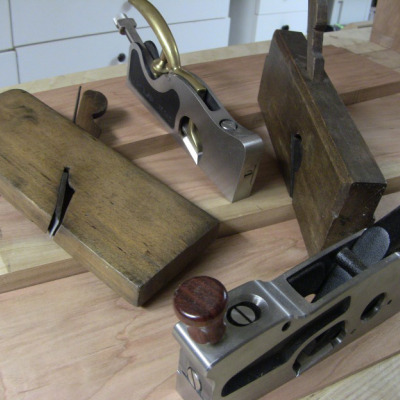 The fact is we live in a wonderful age of beautiful hand tools manufactured with more precision and love than perhaps there ever has been. We also are a society of gadgets and gizmos and solutions so innovative as to shock and amaze. 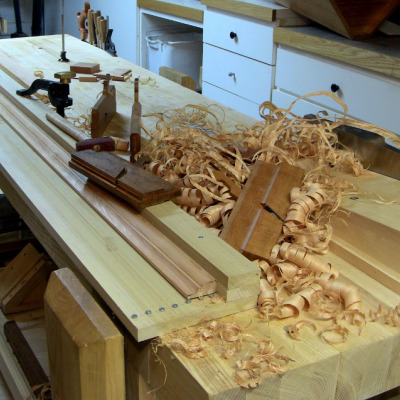 We firmly believe that our woodwork will be better if only we had more features. We focus on features! Saw tooth geometry is like some mystical alchemy that once unlocked will create the Midas sawyer whose every cut is lined with gold. But if you augment that geometry with a custom handle and a hang calculated with a sextant during a harvest moon on a Tuesday in August while standing on your dominant leg with a scrap of the Schwarz' woobie tightly grasped in your hand, all your sawing dreams will come true. I'm purposely being glib here obviously and I myself own some beautiful saws and planes and chisels that have many of these additional features and "bling". But you know what? Many of these additional features only help to cover up when a blade needs to be sharpened. 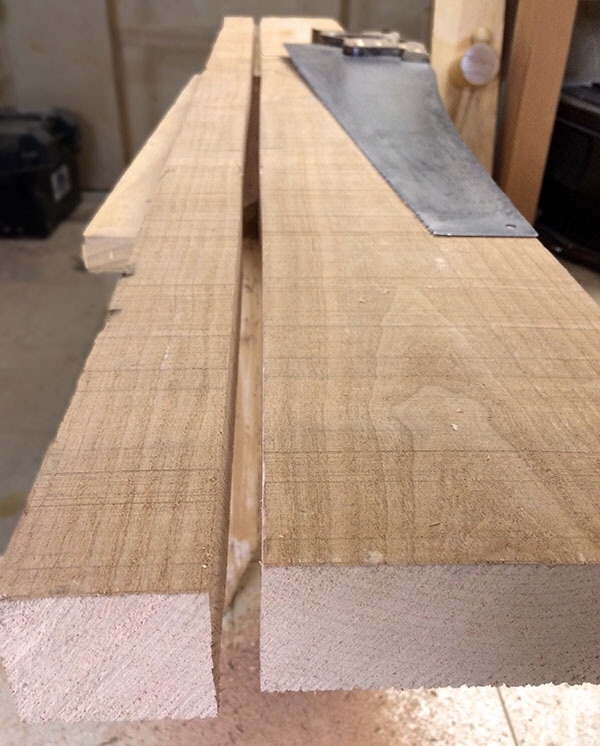 A tight mouth on a plane and a closely set chip breaker can indeed control tear out but they will also make a dulling blade cut like one that is sharp because they force the shaving to break and restrain the wood fibers that want to tear away. A saw going dull will still cut true and cleanly when a rake angle or optimal hang angle can compensate for the additional effort required to drive that less than sharp tooth through the wood. The additional features fool us into thinking we work better with them and are the secret to our success. Ironically we have even found features to fool us with our chisels. Can't cut a straight line? Sharpen the saw. What could possibly stand in the way of a simple beveled piece of steel? It either cuts cleanly or it doesn't. Well the steel itself of course. As new kinds of steel hit the market manufacturers rush to tell us that this steel will cut cleaner and longer and with less morning after remorse. Maybe this is true to some extent because I must admit some of the modern steels are pretty impressive with how long they hold an edge. But this also makes us lazy, thinking we can dovetail an entire chest of drawers without sharpening. Which brings me back to my original point. Go sharpen your blade, it will fix a lot of problems you might be having. Which of these do you really need?